We're sorry; this specific copy is no longer available. 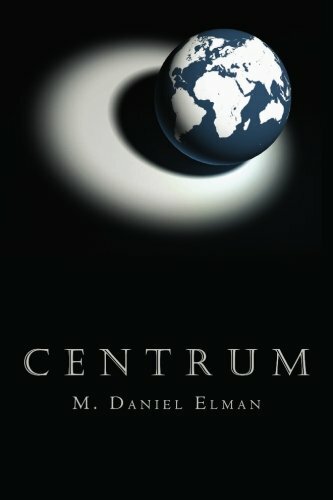 Here are our closest matches for Centrum by M. Daniel Elman. Synopsis: This novel follows the stories of three young adults from America, France and Belgium as they live through the upheavals of war and revolution. The narrative spans many locales from the Bronx to the Sahara, the vineyards of France to the streets of Paris, the cafes of Europe to the mines of the Borrinage and tugboats of the Schelde. There is murder in Switzerland, betrayal in Belgium, and insurgency in Algeria. From the final stages of World War II, the Hungarian Revolution, the Suez War, the FLN terror campaign in France and the French reprisals, the lives of ordinary people are swept into the whirlpool of history. This is a story of individuals. And through their lives we experience the story of their times. But also we begin to recognize a theme that recurs throughout history: that we are all related in the crucible of events. About the Author&colon; Canadian M. Daniel Elman has lived an eclectic life; among other things, he studied science, psychology, and philosophy, owned a motion picture distributing company, driven trucks, and finally became an IT consultant and instructor of software applications for a number of major corporations. In addition to writing CENTRUM, his first novel, he is the author of 32 computer literacy manuals and a book of prose, ENIXAM. A proud father and grandfather, he lives in Atlantic Canada.